Found this killer photo shot by MRZ a few years back. Casey Mcmaugh gets it done ala Ryan house of fun. Back from a trip to Morocco, Sacrifice Pro Dave Nelson gets right back to work. New pro model coming late summer. Our newest deck, "Morbid Visions" is finally coming out in about two weeks. sorry for the delay, but good things come to those who wait. 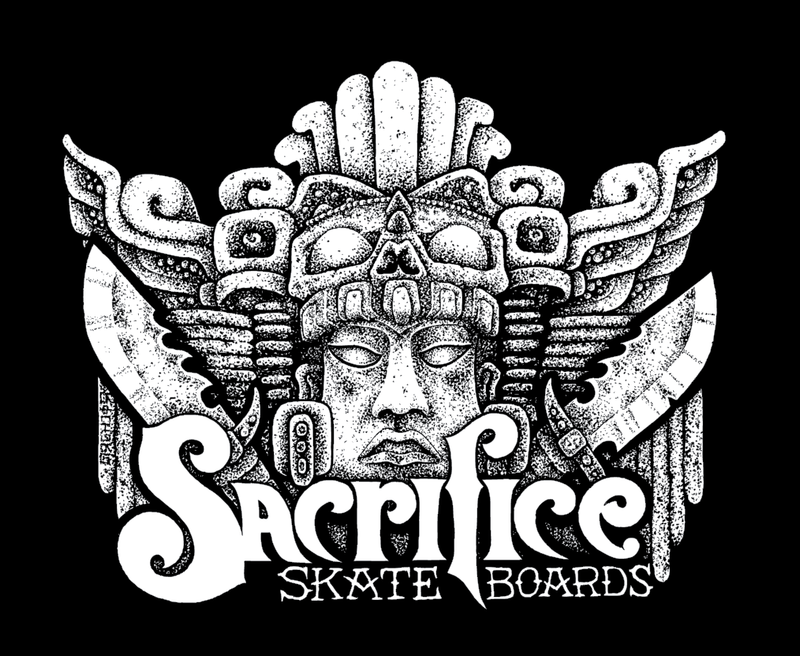 features all original art by Sacrifice Artistic Director, Chris Thatcher. Board is 8x32 with a 14" wheel base. Buy or die baby!! Sacrifice Pro BJ Morrill scores the latest ad in the new issue of Low Card. Ad design Chris Thatcher and photo by Mathew Jenkins. Buy or Die! 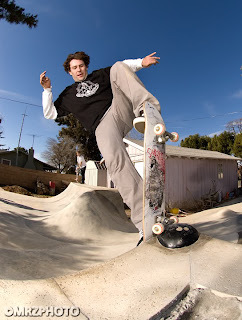 Dave Nelson ollies through the ring of fire.